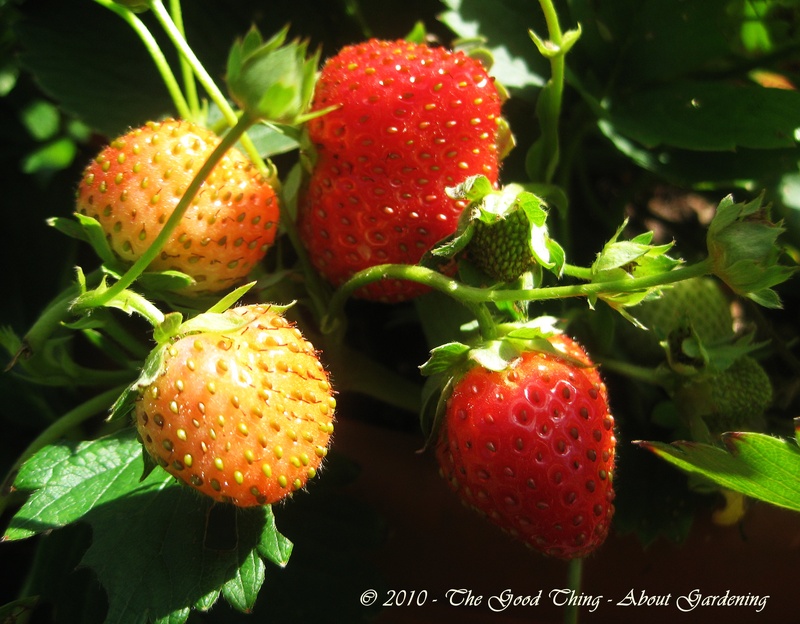 Despite a visit from the Japanese Beetles last week (which I removed promptly and drowned in soapy water), the Everbearing Strawberries are producing a fine, sweet crop of fruit. I have not encountered any more of the voracious pests that can easily destroy a crop overnight. There will be fresh strawberries for our Sunday morning waffle breakfast tomorrow, along with blueberries from northern Minnesota, a treat from a co-worker. I added some of the blueberries to our morning oatmeal today, and I doubt that there are better tasting blueberries anywhere. 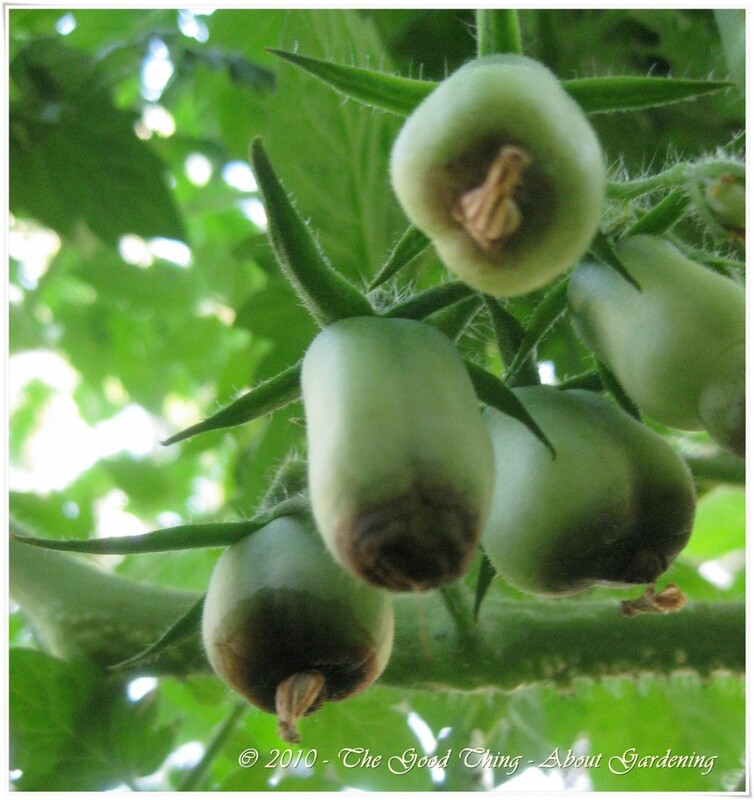 Unfortunately the tomatoes growing on the plant in the Topsy-Turvy upside down tomato hanger have not fared so well in their fight again blossom-end rot. 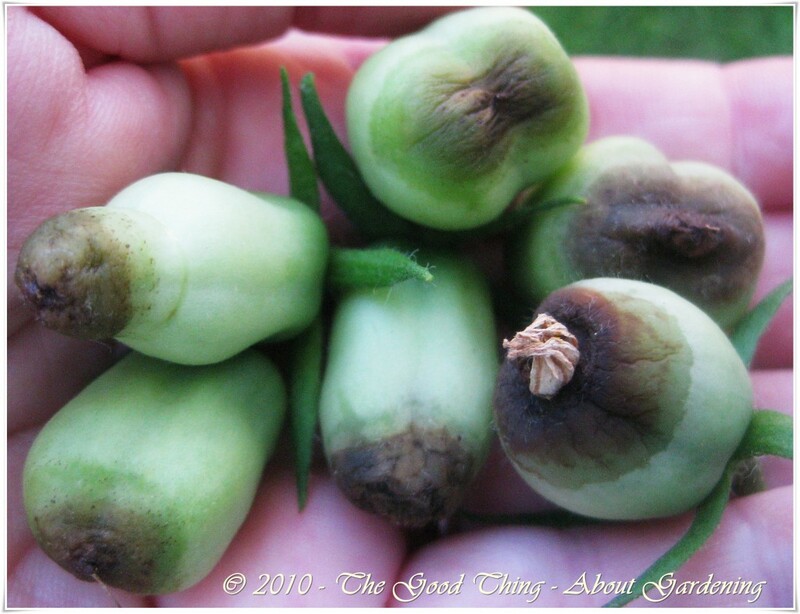 Most of the tiny little tomatoes develop black ends before they get larger than my thumb. I’ve been keeping them evenly watered and it doesn’t seem to have helped much. I may try adding Tums to the water, as I’ve read that the added calcium can help against BER. 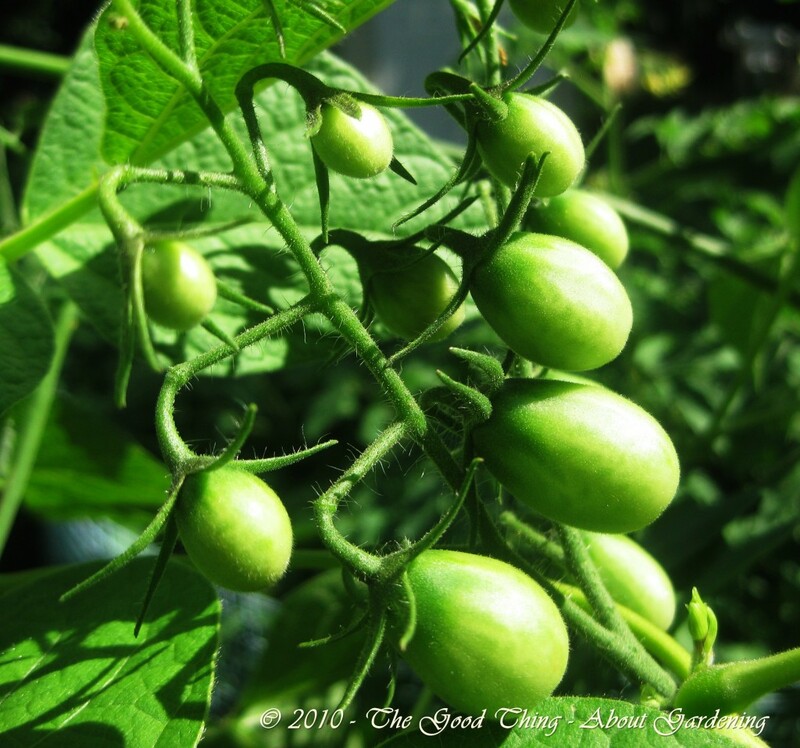 The tomato plants in the raised bed garden are very healthy looking and have not had any BER at all. I think the soil mixture that I used in the beds and in the upside down tomato hanger were from the same batch of compost, perlite, and peat, so they all got the same start. 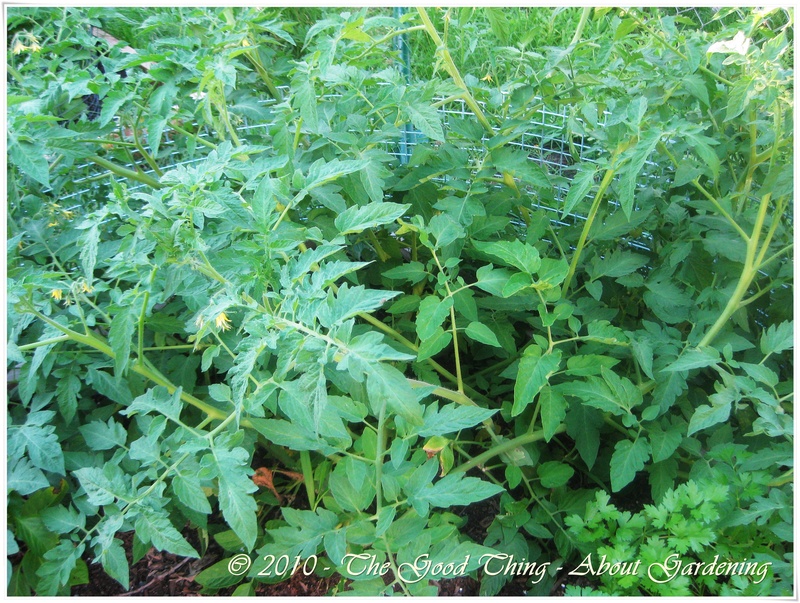 Above is a photo of the Roma tomatoes that are growing in the raised bed garden. 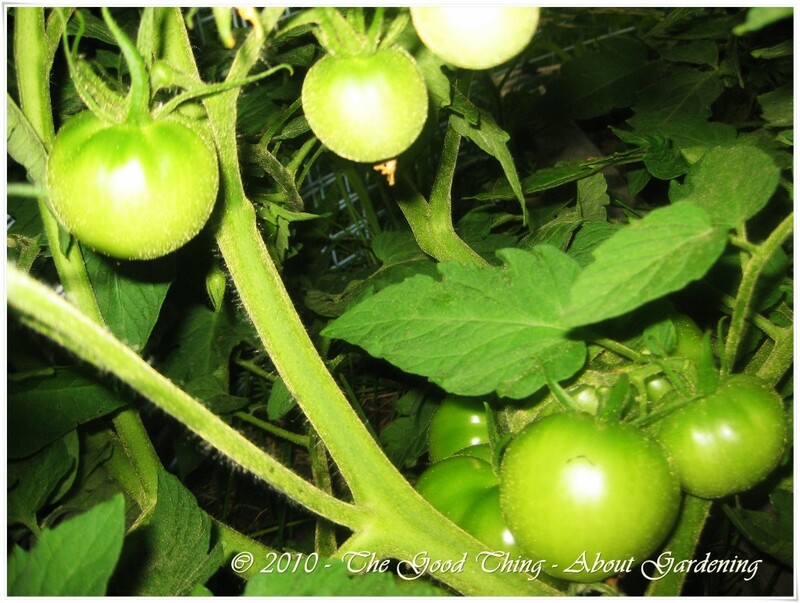 Below is a photo of the Roma tomatoes that are growing in the upside down tomato hanger. I’ll have to remember next year, that the Roma tomato plants seem to do better in the raised bed. Seems the elongated tomatoes are more prone to BER. Cherry tomatoes might be a better choice for tomato planters. 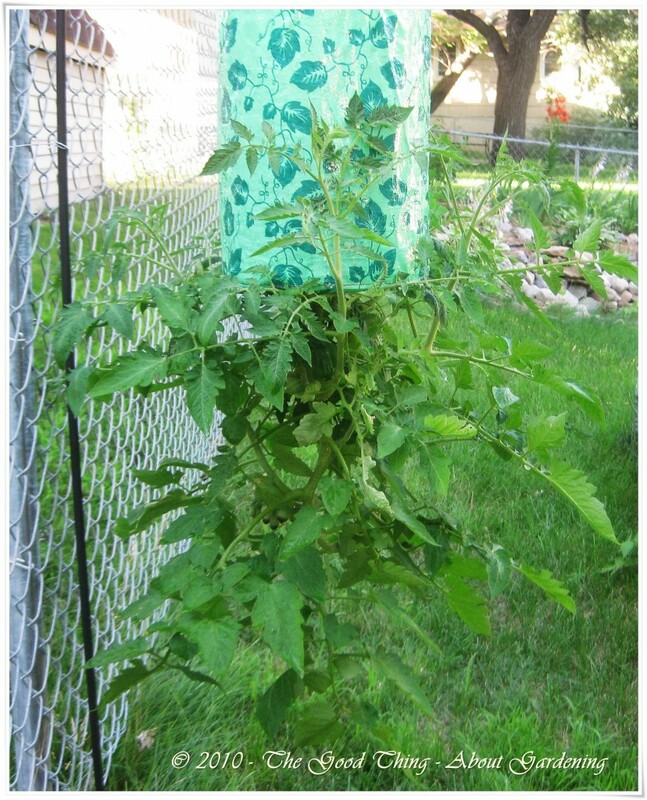 Honestly though, in general I think the upside down tomato planter is a little too high maintenance for me. Tomatoes do wonderfully in raised beds, and as long as I have the room for the gardens, I don’t really see an advantage to the tomato hangers, unless there is no room for a garden. Even then, I would probably just plant them in pots.